Electrical cables and wires are core components of any electronic operating system. Wired accessories, such as headphones and charging cables, are essential components to the device and the user. Today’s automotive assemblies, especially in electric vehicles, have exponentially more electrical wires and cable harness components, which are used for transmitting power, signals to control engine operations, on-board diagnostics, dashboard controls, and more. As a result, it has become more important for OEMs to understand the reliability of cables and wires under different operation conditions. Damage to these components cause greater risk of product failure, especially in automobiles. Furthermore, assemblies of cable harnesses and wires can introduce risk of damage due to handling and packaging. Environmental effects can also impact the insulation of cables, which exposes the copper leads, or may result in functional failures. 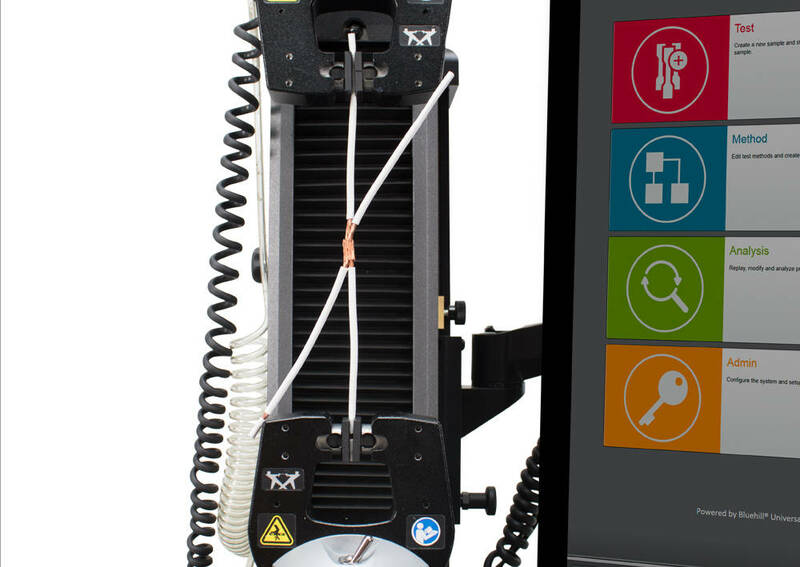 To address these challenges, tensile testing is one of the recommended mechanical test methods for reliability analysis of cables and wires. Instron® offers a wide variety of gripping solutions that are designed to clamp or hold cables of different sizes. Pneumatic grips are commonly recommended for holding wires and harnesses. Furthermore, environmental chambers are available and can be set up with Instron systems and Bluehill® Universal software. Features, such as pre-heat and pre-cool, are available to simulate operating conditions for testing. Extensometers can be used to measure strain and Young’s modulus. 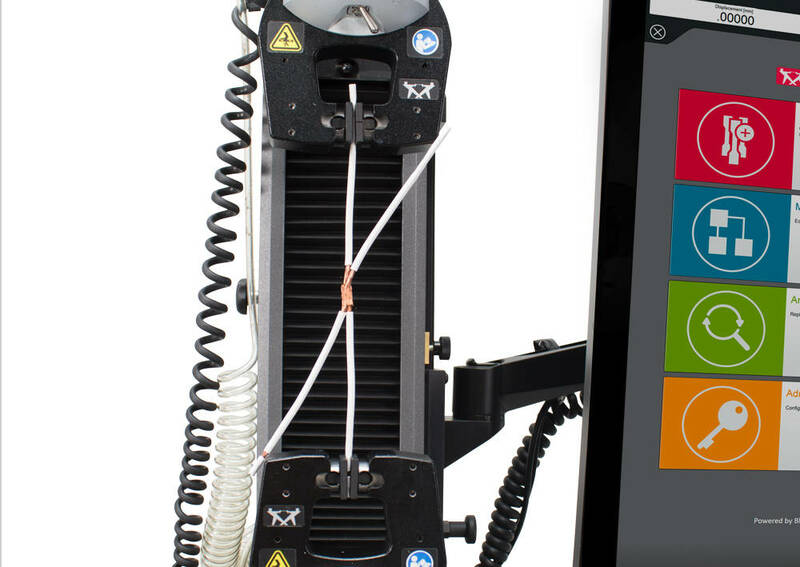 Results from Bluehill Universal software on tensile strength can provide OEMs data outlining the strength needed to break a cable. Instron’s Custom Solutions Group is dedicated to developing custom fixtures and accessories based on sample constraints and requirements.